Chunky yarns = speedy knits. Four ways to piece together colorblock afghans. Classic knits in bright blues update his fall wardrobe. Flattering silhouettes in wear with-everything shades. 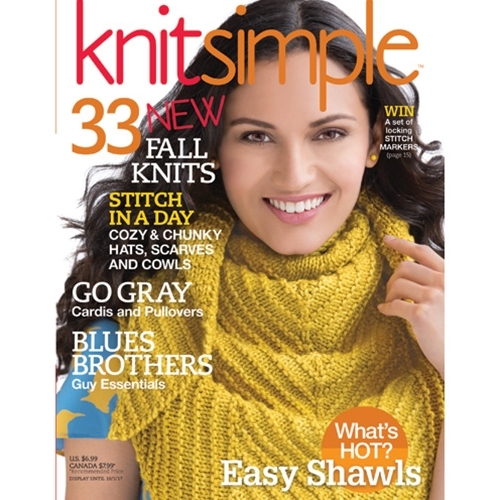 Graphic shawls that keep things simple..
Heart-motif knits set little girls’ hearts aflutter..
3-D spindles, sheep-shaped tea infuser, needlefelting kit, curved double-points and more. Mindful knitting, 60 adorable toys, colorful afghans, start-to-finish details.